A Persona is a fictional character created to represent the different user types that might use your product in a similar way. Each Persona that you create represents a user type that has different needs and usage habits. 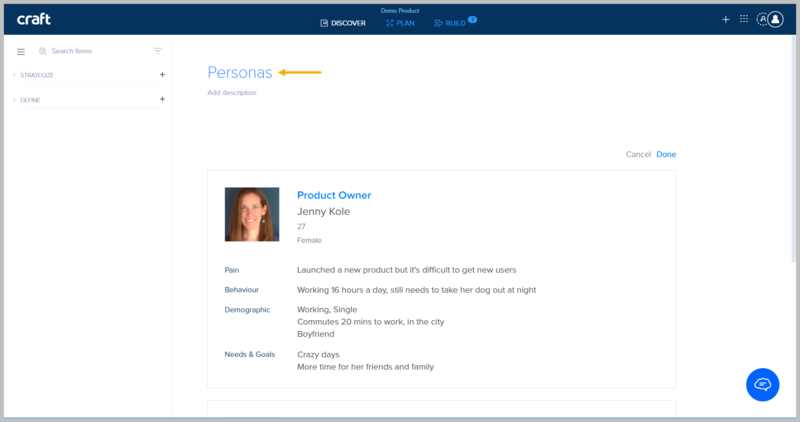 When creating Personas in Craft, you have predefined categories that can be edited, in addition to the option to add custom categories. Picture - add a picture of your fictional character.Job - what is the job title of your persona? (mandatory setting)Name - what is the fictional name of the persona?Age - how old is the persona?Gender - what gender is the persona?Pain - what are the pain points of the persona?Behaviour - how does the persona deal with the pain points?Demographic - what is the demographic profile of the persona?Needs & Goals - what are the needs and goals of the persona?+Category button - add additional categories that your persona might require. 1. Click the Discover Tab. 2. Click the '+' sign on the Strategize Panel. 3. 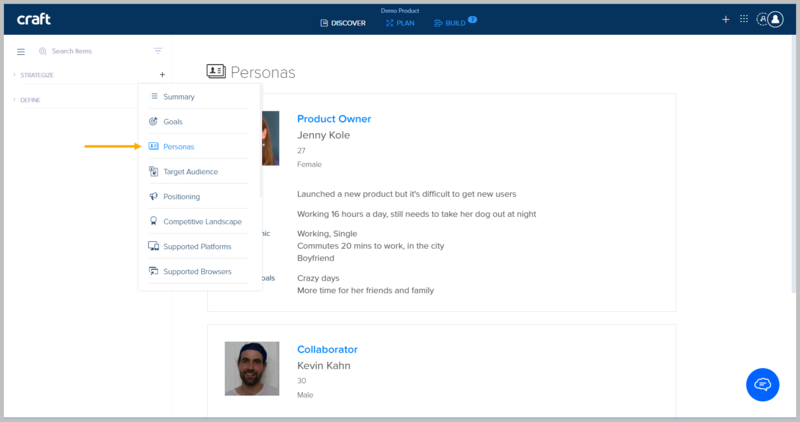 Select Personas from the topic menu. 4. 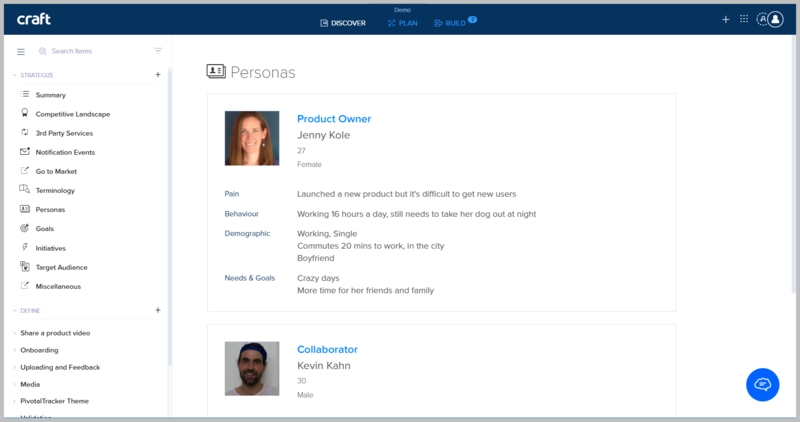 In the Personas screen, change the Title and add a description (optional). When you have finished, click Done. 5. 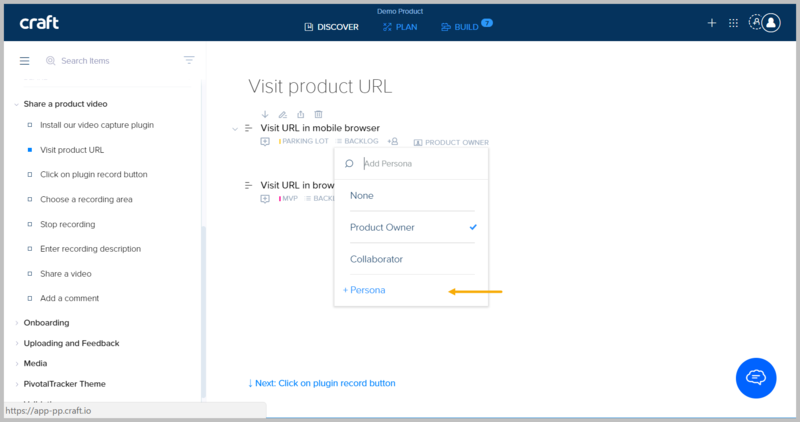 Enter the relevant descriptive information for the Persona, based on pre-defined categories, or add your own custom category. 6. Click Cancel to delete the Persona or Done to Save the Persona. 7. Click Next Persona to add another Persona. 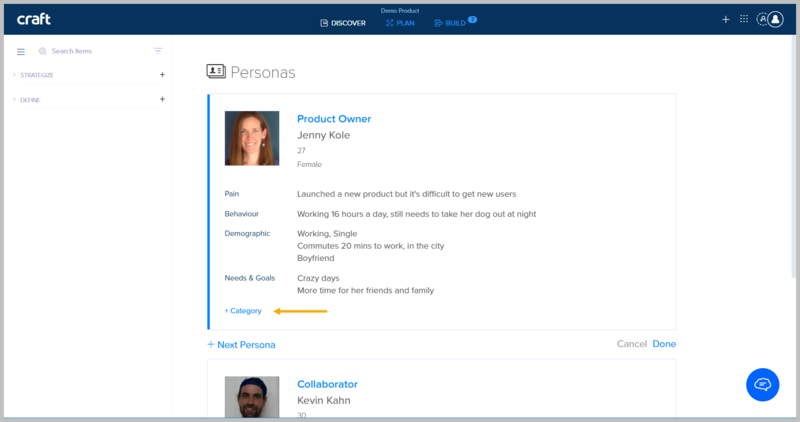 You can assign a Persona to your User Stories while you are in the process of defining them. 1. 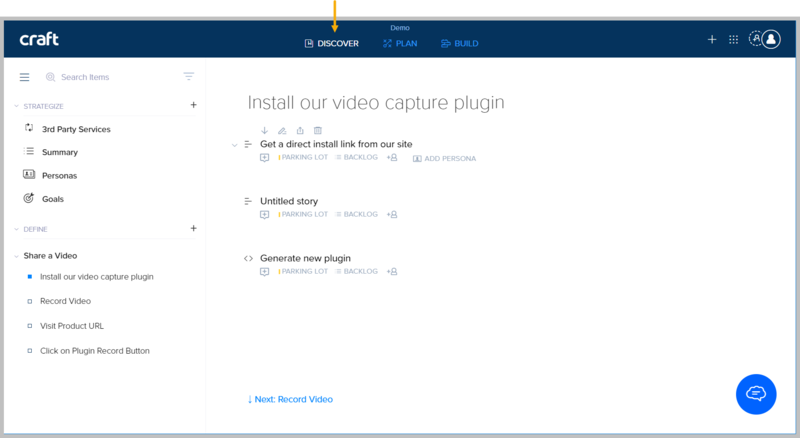 In order to assign Personas to a User Story, hover over the User Story. 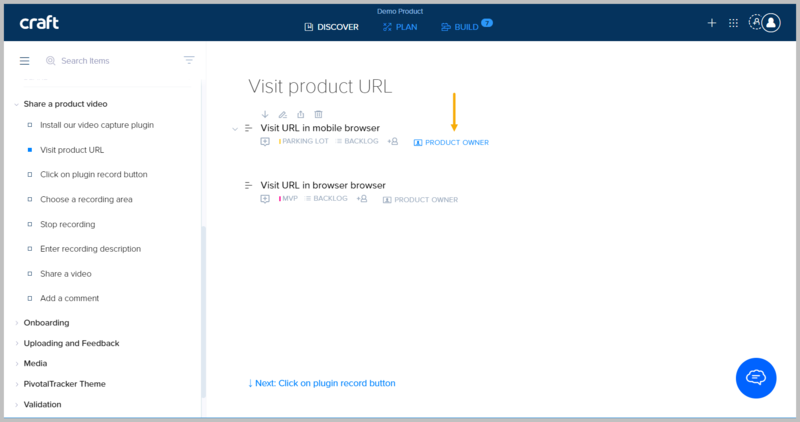 When you hover over a User Story, the top Item Toolbar is displayed, and additional functionality is added to the bottom Item Toolbar. 2. Click Add Persona from the bottom Item Toolbar. 3. Select a Persona from the list, or click + Persona to add a new Persona.